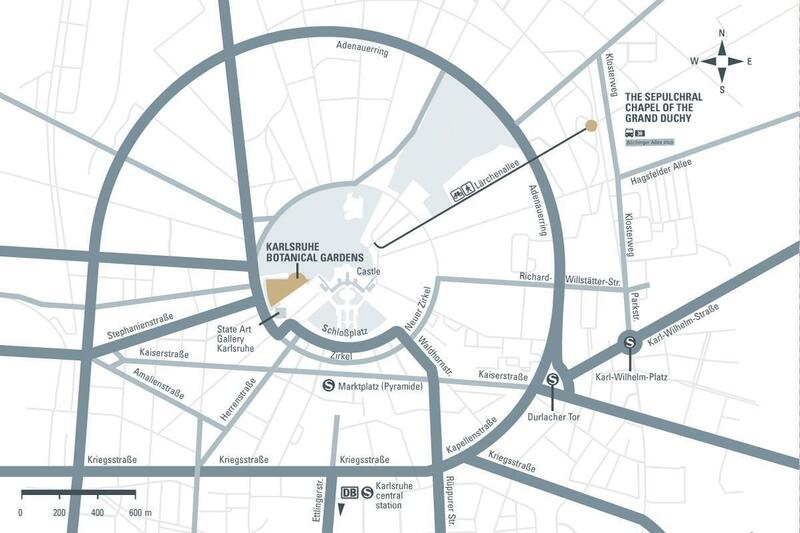 By public transport: Take the tram to the marketplace ("Marktplatz") and walk from here to the Palace and Palace Gardens and then directly along the "Lärchenallee" (an avenue lined with larch trees) to the Sepulchral Chapel (approx. 1 km away from the Palace). Or taking the tram to the stop "Durlacher Tor" and then taking bus numer 30 from there to the stop "Büchinger Allee".